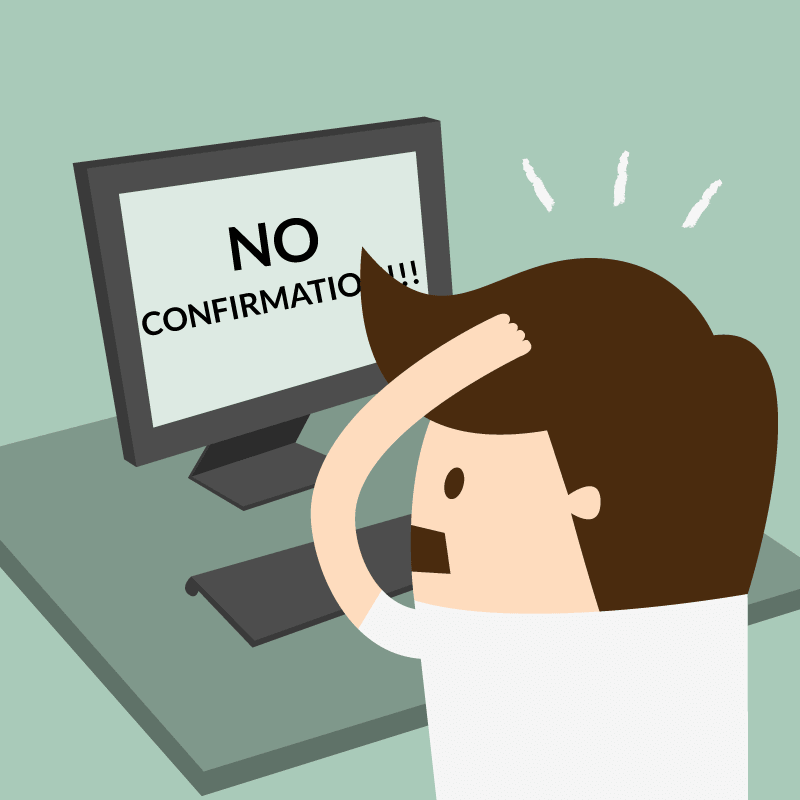 Interview scheduling software really requires the ability to send interview confirmations. Think about all the times you had candidates frantically calling your office at the last minute to confirm the details of their interview. Now imagine that they booked their interview online....and never received a confirmation....oh the anxiety! Besides that, they are just going to call you or send you another email anyway...what's the point of doing it like this, is it faster or easier? Really what you want from your interview scheduling tool is an automatically generated confirmation that has all the important details (location, time, etc) and ideally any additional notes you want to add. This reduces the interviewees anxiety and allows you to ensure they get all the info they need so as to eliminate that pre-interview back and forth between you and candidate. Added bonus is that your candidates will easily be able to locate and recall the information on their smart phone as they are headed out the door to the interview (not that candidates wait to the last minute to do this sort of thing right?). If you ask people who schedule interviews online (and trust me, I do ask them), they will tell you that receiving that interview confirmation immediately after choosing their interview time is a big plus. I recall the story of one poor woman who, while on vacation in Cuba, scheduled an interview through a different interview scheduler and waited anxiously for that confirmation....sadly after logging in a few more times and selecting a few more interview times (ouch to the poor recruiter who had to sort that out), she just bit the bullet and phoned across 4 time zones to ensure the interview was a go. We don't want anyone to ever experience this....definitely not while sitting on a beach in Cuba. So what is Interviewer Assistant's answer to improve this part of the online interview scheduling process? When you finish your easy 3 step interview creation process, you will see an auto formatted confirmation notice that will go to your candidate's seconds after they submit their interview time and date selection. If you want to add something to that confirmation (requirement to bring references, parking information, etc), just type it into the text box and your candidates will get that info. in the confirmation. To us, recruiting is largely about customer service. If we can keep your customers happy and informed with simple to use, automated interview confirmations, they will spend less time contacting you...we think you will enjoy using that time for something more productive, like scheduling more interviews with Interviewer Assistant. Without a doubt, in some recruitment environments it might be beneficial to phone each candidate to negotiate the interview time, but for our customers, automating that process frees up more time to be the strategic business partner managers are looking for. For example, if you are recruiting very senior level positions (executive for example), automated interview scheduling is probably not your first choice. If however you are ramping up seasonal employees it might be ideal. I hear you, but I honestly can't believe that ANY of our clients would appreciate us having an automated system schedule the interview. We pride ourselves on our level of service and personal attention and I can't imagine how or where this would be acceptable, except in a doctors office or something like that. 'Strategic business partner managers are looking for'? Really? I would like to think we bring value to them in many ways, including locking the candidate down again as we are scheduling the interview. We like to be personally involved in every step of the way, and I know our clients appreciate that from us. Thanks for your insights Linda. @ Chad. i think Linda is right- people often prefer the personal touch,so instead of an automated system you can hire an offshore $3.00/hr Virtual Scheduler /Coordinator to provide that, while letting your recruiters concentrate on higher-valued tasks. I guess it depends on your recruiting needs and the needs of your clients as well as the resources you have at your disposal. I've seen recruiting environments that rely heavily on tools such as this, and those that would never use this type of tool and I respect that. We are happy to be providing this tool for those who do see a value in it and have a need for it. If this is not you or your recruiting environment, I respect that as well.